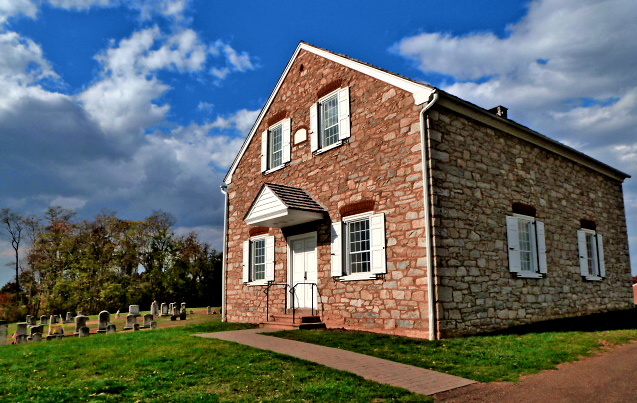 Built in 1791 this “Temple of Limestone” is the oldest existing structure designed for Methodist use in Pennsylvania and one of the oldest in the United States. Erected on land formerly owned by Bishop Martin Boehm, co-founder of the United Brethren in Christ Church, it was frequently visited by Bishop Francis Asbury, “Father of American Methodism”. Boehm’s Chapel is an official heritage landmark of the United Methodist Church. Its uniqueness lies in the fact that it symbolizes the evangelical revival, (Second Great Awakening), which was taking place in colonial America in the latter part of the eighteenth century. This huge revival movement led to the formation of the Methodist Episcopal Church in 1784, the United Brethren in Christ Church in 1800 and the Evangelical Church in 1803. Nowhere is this highlighted more than in Lancaster County where the three colonial faith communities have now become The United Methodist Church. Boehm’s Chapel Society celebrated a completion of an extensive renovation project in 1991, the 200th anniversary of the chapel. Religious Heritage: Churches whose roots are anchored in the history of the United Brethren in Christ, Evangelical and Methodist Churches are encouraged to use the facility for confirmation classes, special events and congregational tours. Guided tours are also available for the general public. Special Events: Boehm’s Chapel Heritage Celebration and a special worship service are held on the fourth Sunday in June. The annual Chapel Apple Festival occurs throughout the Boehm’s UM campus, the Saturday of Columbus Day weekend. The event is anchored around the huge homemade apple butter kettles. An annual Christmas Vesper program of “Lessons and Carols” is held the first Sunday in December. 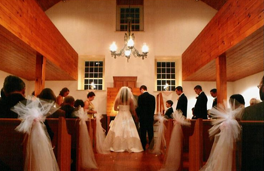 Weddings: Boehm’s Chapel is available for sophisticated, intimate weddings. 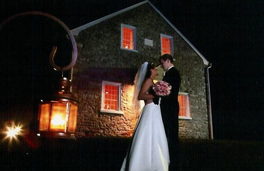 Beginning your married life in this historic site will ensure enduring memories of your special day. Please contact Boehm’s Chapel Society to inquire about availability and our policies and fees. 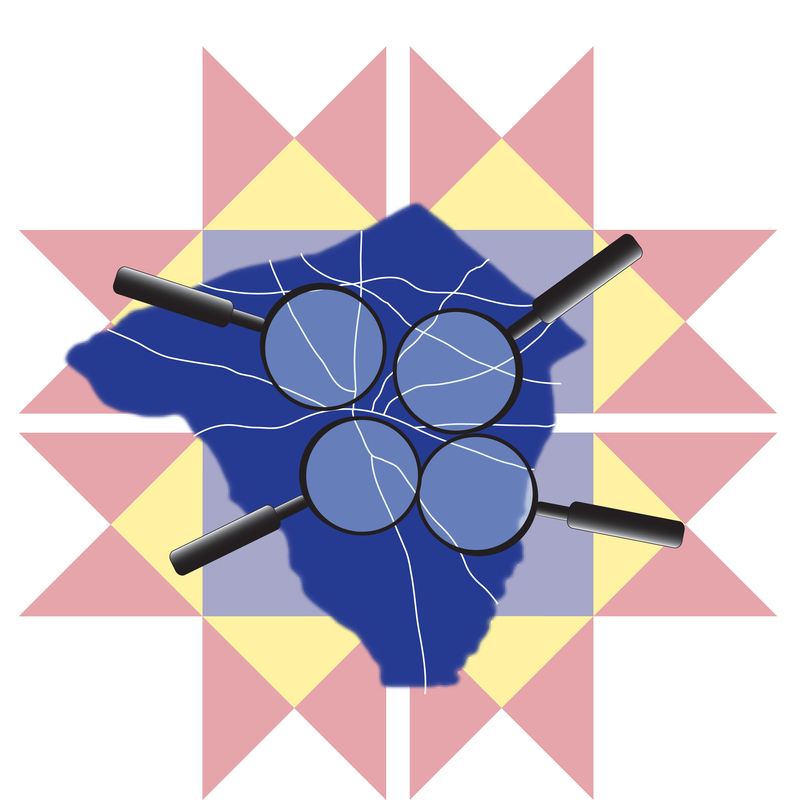 To Visit: Regular tours are given during the summer months and Saturdays and Sundays. It is best to phone ahead as the chapel is closed to the public during private events & weddings.